The first night of the Kenyon Invitational, hosted in the James A Steen Natotorium saw some seriously fast swimming. That’s unsurprising, considering there are three DI schools in the house. I was lucky enough to witness it, while watching the Kenyon live feed of its meets (a handy feature that I enjoy when colleges offer it). This first night was more of a sprinting night, with the only “long” events being the 500 freestyle and the 400 IM. Ohio State University has certainly come to this meet with a purpose – movin’ quickly! And the other teams (Kenyon, Oakland, Ashland, and the University of Cincinnati) are fighting to hang with them. The women’s 500 might be a foreshadowing of events to come. Alex Norris from OSU went 1-2 with teammate Kelly Ann Baird. Baird was .2 away from cracking a pool record set by Penn’s Shelby Fortin last year when she swam a 4:51.41. Swimming in the next heat, Norris destroyed that mark, resetting it with a 4:48.51 – significantly faster than she was at this time last year (4:52.13 at Michigan v OSU, 2013). The only DIII rep making top eight in the event was Mariah Williamson who has established herself as a distance swimmer to keep an eye on. She cruised to seventh with a 5:02.35, only a little slower than she’s been while suited so far this year. OSU ran 1-2-3 on the 100 butterfly yet again, with Schmidtke taking top honors with a 55.51. She sort of destroyed everyone – the next fastest finisher was teammate Phoebe Carter more than a second behind touching in 56.83. Kenyon’s Natalie Parker earned herself a seventh place finish with her 58.46. Zual Zeren led the next 1-2-3 run of Buckeyes, taking first in the 100 backstroke in 56.59. Celia Oberholzer – a Kenyon Lady, and the national record holder in the 100 backstroke at the DIII level – was eighth, touching in at 57.37. She usually takes very well to rest, and will be a force to be reckoned with come NCAA time, especially given that her time – in a practice suit – is barely a second away from some of her suited times from around this time last year. OSU’s Williams out touched teammate Jongkrijg for the title in the 100 freestyle, clocking in 50.62 to 50.84. Cincinnati’s Jackie Keire was third in 51.40. There were no Ladies in the top eight, but Haley Townsend and McLeod were both sub 54 in the event; Mcleod finishing 11th in 53.12, and Townsend twelfth in 53.81. 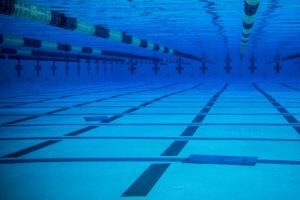 Good news for a 400 freestyle relay. If it weren’t for Kenyon’s Kaestner, the OSU Buckeyes would have taken 1-5 in the 100 breaststroke. As it was, Kaestner managed to squeak past Taylor Vargo for the win, finishing in 1:04.30, less than half a second away from her time at NCAAs in 2013! Norris, already having broken the pool record in the 500 freestyle, wasn’t content with just that. Swimming in the first heat of the 400 IM, she dominated the competition, to finish at 4:21.77, breaking yet another pool record, this one set by Joy Bunting of Kansas in the 08-o9 season. Baird again claimed runner up to her teammate, touching in the second heat with a 4:24.02. OSU also took 3-4-5 in the event. Williamson was the Ladies’ top finisher, touching in eighth with a 4:35.02. To close out the night, the OSU team of Willaims, Schmidtke, Jongekrijg and Rachael Dzierzak won the 200 freestyle relay in 1:33.08, more than three seconds ahead of Ashland (1:36.92) and barely more than half a second off the pool record, set in 08-09 by Kansas. The Kenyon team of Cline, McLeod, Kaestner and Townsend took third in 1:37.41, and McLeod outsplit herself from earlier in the night, going a 23.79 for the only sub 24 leg of the relay. On the men’s side of the meet, the excitement level was just about as high. OSU controlled the 200 medley relay, going 1-2 with Ashland finishing third and the Kenyon Lords sweeping in for fifth. The Buckeyes’ team of Connor McDonald, Keanu Stevenson, Matt McHugh and Tim Phillips combined for a 1:29.38, and the victory. Lords Kevin Magee, Trevor Manz, Ryan Funk and Austin Caldwell touched in at 1:32.88. As a fun fact, both Caldwell and Phillips had the same anchor split – 20.04. Alex Miller claimed the 500 for the Buckeyes, taking the title in 4:25.60. His next fastest competition was Oakland’s Jorden Merrilees, coming in more than five seconds behind, in a 4:30.78. The Lords snuck one athlete into the top eight – NCAC All Decade athlete Andrew Chevalier who finished strong with a 4:38.56. 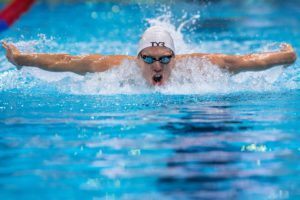 The OSU men echoed their women’s team with a 1-2-3 in the 100 butterfly. 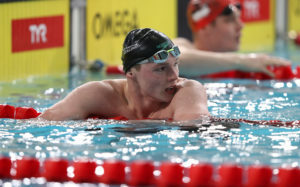 Phillips led the way, taking the crown in 47.76, well ahead of teammate McHugh who was second in 49.06, and the only other swimmer under 50 seconds. (That effort was .06 away from the pool record, set earlier this season by Rhoades Worster of Penn.) The Lords had two sneak into the top eight, only .05 apart. Funk was in eighth after a 51.40 effort, right behind seventh place classmate Christian Josephson (51.35). For both of them, that’s about two seconds removed from how fast they’ve been at midseason. Steven Zimmerman won the 100 backstroke, just beating out Ashland’s Phillipp Sikatzki for the gold (48.80 and 48.93, respectively). Zimmerman was less than two tenths off another pool record set by Rhoads Worster this season. The Lords’ top finisher was Harrison Curley who touched in 52.42 for thirteenth place. Stevenson led the Buckeyes to a first through fourth finish on the 100 breaststroke, touching in first at 55.56. Teammate DJ MacDonald was right behind him in 55.71 – the only two athletes under 57 tonight. 2013 NCAA qualifier Alex Beckwith made it under a minute in his race, schooching into eighth with a 58.99 effort. The 400 IM went the way of Tama Gercsak who finished in a 3:57.73. Oakland’s Merrilees was second in 3:58.87 – the only two men under the 4 minute mark in the event. The Lords displayed their depth in this particular event, with three making the top eight. Chevalier was fifth (4:02.57), the younger Manz was sixth (4:05.40), and Ian Reardon stormed in for an eighth place finish (4:06.17). To close out the night, the men swam the 200 freestyle relay. OSU’s team of Josh Fleagle, Michael Disalle, Vlad Komarov and Phillips took the top spot with a 1:21.59, about a second and a half ahead of Ashland (1:23.03). The Lords of Kenyon (Funk, Caldwell, Wes Manz and Percy Gates) finished in third, just behind – 1:23.09. The meet resumes tomorrow at 11 am EST. Catch the action live! I find it a little frustrating that having three DI teams on hand is cited as the reason to expect records. I understand that Ohio State alone is a reason to assume some records might be broken, but why does the general presence of a DI team mean anything when we’re talking about Kenyon. The Lords are hanging with Oakland, and they are beating UC. 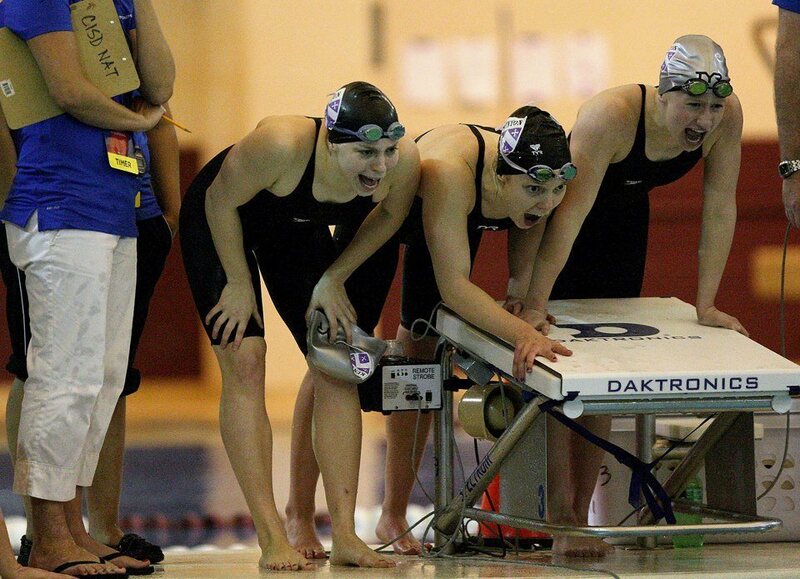 There is great swimming at the D3 level, so please don’t put DI teams on a pedestal. I can think of quite a few D3 teams who could beat just about anyone in the Summit League or NEC as well as plenty of other teams from various conferences. CRUSH – the irony of your complaint is that the author of this recap is a DIII All-American who could have scored at DI NCAA’s. Howevever, I think you’re reading between the lines too far. Hannah never said that the DI teams would be the reason records are broken, although Ohio State is clearly the best team at the meet. I don’t think it’s out of the realm of reasonableness to presume that if three Division I teams are at a Division III-hosted invite, that said invite will be faster than it would have been otherwise. Seems to be nothing unfair about the recap to me. Those who swam fast were credited, those who didn’t weren’t.